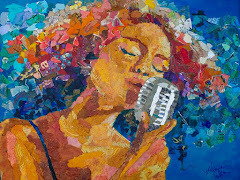 Here is a dynamic song by beautiful little-known singer Mara Lynn Brown. 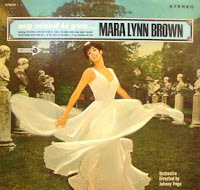 Mara Lynn Brown was born in Chicago in 1943. She was just-turned-sixteen, and an intense student of dance when the famous Maurice Chevalier accidently discovered her amazing singing talent, during his brief appearance in Chicago's famed Empire Room. An evening out with her mother at a ringside table at Chevalier's personal appearance: the veteran showman soon spotted this young "Gigi" in the audience and was so taken with her gamin-like beauty that he called her on stage, and, despite her insistence that she was no singer, induced her to join him in a duet. Urged on, Mara next sang a solo and the audience broke into wild, cheering applause - and the birth of an exciting new singing star had come about! The years followed with engagements at some of America's top supper clubs, and television and radio appearances. 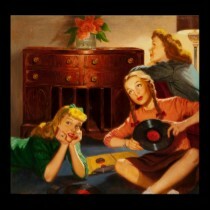 Enjoy Mara Lynn Brown's great voice!